Objectives: To identify the biological and socio-demographic factors considered as predictors of the Quality of Life of elderly people residing in an aged and predominantly rural community in Portugal, namely the Baixo-Alentejo. 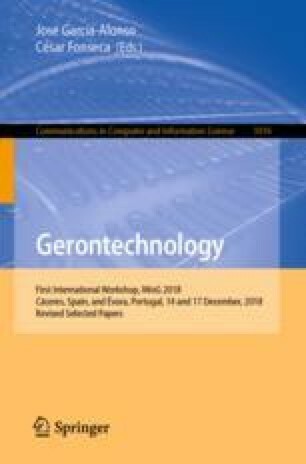 Methods: Cross-sectional and descriptive study, with a random sample of 351 elderly residing in the community, stratified by gender and age group, with data collection performed by health professionals in people’s homes, using the WHOQOL-BREF instrument. In addition to a brief description of the general characteristics of the sample, a linear regression model by blocks was performed, in order to investigate about the biological and sociodemographic factors considered as predictors of Quality of life. Results: Highest percentage of women in the sample. Decreased Quality of Life in all domains as well as in the General Health Facet as age progresses. Higher average Quality of Life score obtained for the Social Relationships domain and smaller to the Physical Health one. Higher Quality of Life scores obtained for males compared to females. Education considered as one of the most significant predictors of Quality of Life, whose score increases with higher education levels. Discussion: Regarding the biological factors, age appears to be a significant predictor in the Physical Health and Environment domains, while the gender seems to be a significant predictor in the Physical Health and Psychological ones. In respect to the sociodemographic factors, the marital status appeared to be a significant predictor in Psychological and Social Relationships domains, but education was the only factor identified as a statistically significant predictor in all domains of Quality of Life. This work was supported by 4 IE project (0045-4 IE-4-P) funded by the Interreg V-A España-Portugal (POCTEP) 2014-2020 program. Ethical Approval: The research ethics committee of the Unidade Local de Saúde of Baixo Alentejo (ULSBA) approved the study protocol including study design, interview questionnaires, and informed consent. Informed Consent: Informed consent was obtained from all the 351 participants.